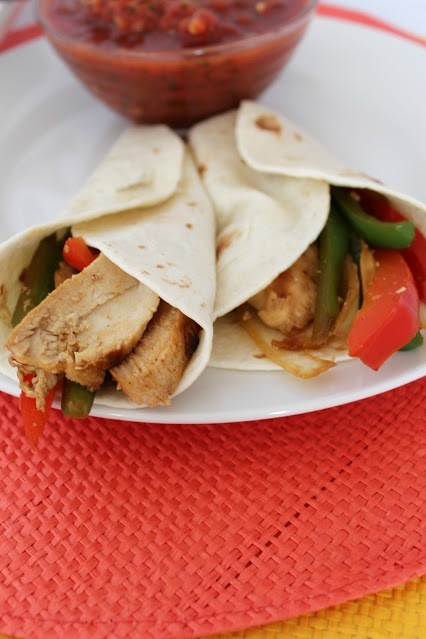 This is such an easy, healthy meal and guess what? They’re frugal too! I put the chicken even when it’s frozen into the marinade and let it thaw as it sits. The longer it’s in the marinade the better (2-3 hours is good). Combine all marinade ingredients in a small bowl. Place chicken in a Ziploc bag and pour the marinade ingredients over the top. Seal the bag and place in the refrigerator and let marinate for 2-3 hours. After marinating, take chicken out of the bag and discard the marinade. Grill or broil the chicken 5-7 minutes per side . Remove from grill or pan and tent with foil to keep warm. 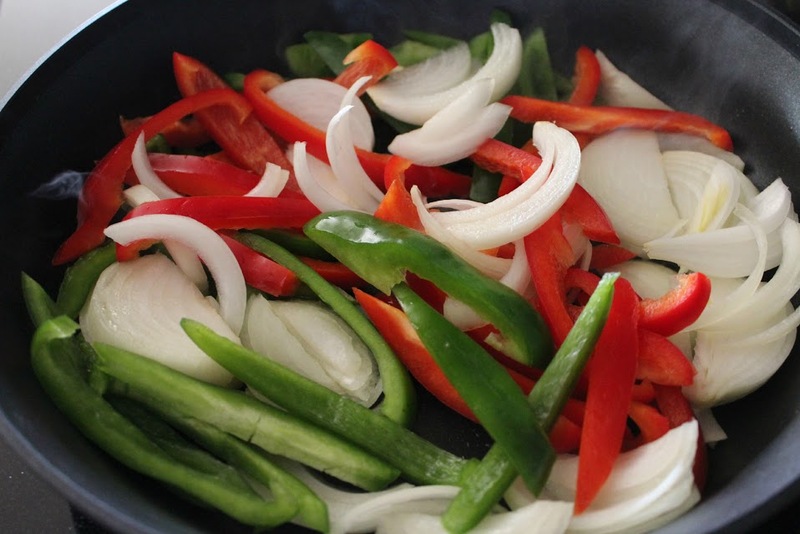 In a large nonstick skillet, heat 1 tablespoon oil over medium heat and add the onion and peppers. Stir fry until softened but still crisp tender. Add soy sauce, water, lime juice and salt and pepper. Cook another 2-3 minutes, stirring frequently. 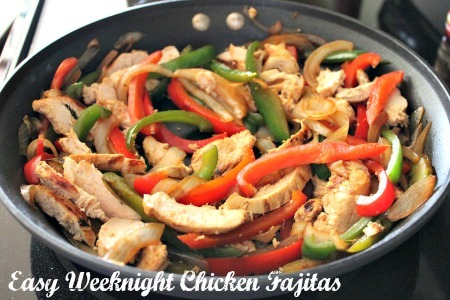 Slice chicken thinly on the diagonal and toss with the vegetables in the skillet. Serve immediately with flour tortillas and top with tomatoes, lettuce, guacamole, cheese, sour cream. Enjoy!! Can you believe the Fourth of July is almost here? Crazy how fast the summer goes by. I love strawberry lemonade as in, I LOVE it. I decided to mess around with the recipe and make something that is delicious and super cute to have for our cookout this year. 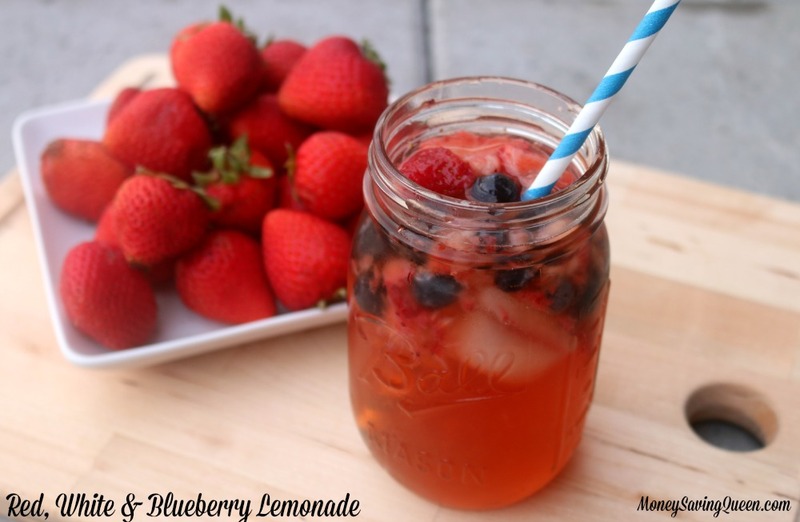 I honestly think this is the best lemonade I’ve made and it’s packed full of fruit too which makes it even better! First, wash and dry the strawberries and set aside in a bowl. Then, fill a pitcher with 2 liters water and squeeze in the lemon juice from about 5 lemons. You can use more or less lemons if you’d like. Stir the water well and add in the sugar and blueberries. I use Turbinado Sugar from Sugar in the Raw but, you can use whatever sugar alternative you’d like or real sugar. Just make sure to stir until dissolved. With your hands or a potato masher, squish the strawberries. I washed my hands, grabbed the strawberries and squeezed them in the bowl. Then, add that bowl of squished strawberries to the lemonade. 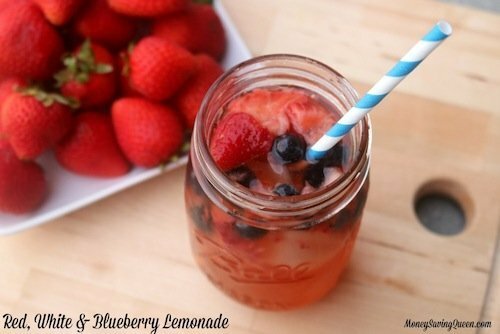 You’ll have a great mixture of lemonade, blueberries and strawberries. Finally, add the ice and serve.